Cockroaches have been around for an estimated 4 million years and there are well over 3,500 species of roaches worldwide, but the most common cockroach in Canada is the German Cockroach (Blattella germanica). The German roach is about 1.3 to 1.6 cm long and has a flattened oval body with long spiny legs. They are tan or light brown colour with 2 dark parallel streaks that run from their heads and down to the base of their wings. Despite having wings, German roaches are unable to sustain flight. German roaches can be found in any part of your home, but they usually prefer a damp environment such as kitchens, bathrooms, basements,etc. Anyplace they can find food, which for them is not hard, and warmth they will be happy to settle in there. These roaches will eat just about anything–from food stuff, paper, cloth, glue from book bindings, etc, so they really can be comfortably anywhere. It’s very common for people to not realize they have cockroaches until the infestation is very bad because German roaches are really only active during the night, so it can be difficult to determine whether or not you have an infestation without doing some detective work. A female German cockroach will carry an egg capsule containing approximately 40 eggs, which she will then drop just before they hatch. A female can produce up to 8 egg cases a year. The development of German roaches from egg to adult will take 3-4 months and they will live up to about a year. The egg case that is carried by females is a tiny, brown purse-shaped capsule that can be seen protruding from the posterior end of the female and is about 8 mm long, 3 mm high and 2 mm wide. The second (and third) stage in their life cycle is Nymph. This stage begins with the eggs hatching and at this stage (in the beginning) they are dark brown or black in colour with the distinct parallel bands running down their bodies. At this stage, German roaches do not have wings yet. It is also at this stage, that German roaches will molt. They will do this a number of times (the most commonly reported number is 6, but it can vary) and it is at this stage they are called an instar. The last stage in their life cycle is as adults, which as we already stated means they are about 1.3 to 1.6 cm long and has a flattened oval body with long spiny legs. They are tan or light brown colour with 2 dark parallel streaks that run from their heads and down to the base of their wings. Did you know that an infestation is generally comprised of 80% nymphs and 20% adults? German cockroaches are also considered to be a public health concern because they have been known to carry Salmonella bacteria,which it has been shown can remain in their feces for several years. German roaches (and many other species of roaches) have been known to also cause allergies in people that can result in skin rashes, asthma and other reactions. Allergies are primarily caused by their feces, saliva and eggs. German roaches can also carry bacteria such as Staphylococcus, Streptococcus and other bacterial pathogens that can make you or your family sick through contaminated food. This is because, once those bacteria and pathogens are in the cockroach they can remain in their digestive system for a month or more. Once that happens, if their feces is anywhere near say your food or utensils, it can get into your system and make you sick. Little can be done to prevent an infestation from occuring, however by practicing good sanitation and by eliminating accessible food sources for them you can help minimize the risk or extent of an infestation. 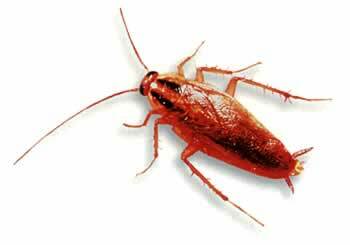 It’s important to know that roaches and their eggs can enter your home through furniture, food items, empty beer and pop bottles/cans, shipping cartons, boxes, etc. Once they are in your home they can travel quite easily and they have easy access to a food source they will breed and cause an infestation that can reach numbers in the thousands. So what can Cottage Country Pest Control do? Well, by practicing IPM (which if you are not familiar with, you can read about here) we can approach the infestation and find the best way to solve the problem using environmentally responsible and people-friendly ways. Contact Cottage Country Pest Control through email or call us at 705-534-7863 to book and appointment or to find out more information.